Whether you are seasoned Crossfitter or brand new to the world of Crossfit training, chances are you’ve been on the hunt for the perfect pair of gloves. A good pair of gloves needs to offer protection during the high intensity movement that Crossfit is known for, as well as offer exceptional grip. But how do you find the best Crossfit gloves for you? 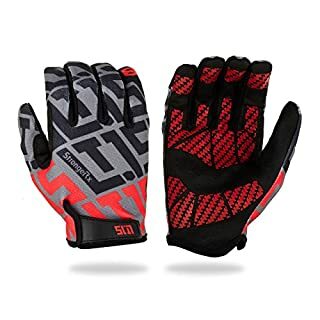 In the following article, I will teach you everything you need to consider when purchasing your own pair and then I will show you some of the best Crossfit workout gloves available online today! Why Should You Wear Gloves for Crossfit? 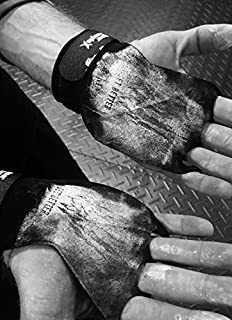 Technically speaking, a Crossfit glove is any glove, grip, and/or wrist wrap that offers you protection while also enhancing or at least maintaining your best grip during pull-ups, kettle bells, and other workouts that are hard on your hands. The short answer is you should wear gloves during your Crossfit workout if you want to wear gloves during your Crossfit workout. They protect your hands and allow you the grip you need to go hard all day, so why not? The argument against wearing gloves is that they don’t allow your hands to toughen up like the rest of your body. By that logic then you shouldn’t wear your Crossfit shoes either, but I can’t imagine any of the people talking smack about your gloves would ever work out barefoot. The two functions of the Crossfit glove (protection and grip) are paramount when selecting your pair. I suggest thinking of what stresses your hands out most during your work out. 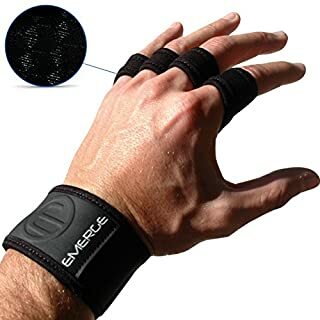 For instance, if the pull-up bar on a hot day is making your hands sweat and burn, then you might want a pair of pull up gloves that emphasize a sticky grip and protect you from the heat. Keeping in mind the things that your hands need the most, I ran down a little list of some of the best Crossfit gloves for women and men available online today! Crossfit is filled with exercises that require extreme grip, from pull ups to dead-lifts and everything in between. These hand grips by Emerge give you the grip and palm protection you will need for even the most grueling WODs. I like the fact that these grips are so breathable. They “trim the fat”, so to speak, by putting protection where you need it: your palms and underneath the fingers. The rest of the hand remains in open air to reduce hand sweat. Another great feature of these grips, which can also be used as gymnastic gloves, is that the finger grips are remarkably easy to break in. The textured leather callus guards won’t bite in to your fingers for the first couple weeks, which is a complaint that most Crossfitters have about grips in general. Lack of protection between the thumb and forefinger–make sure to wrap! The Skott Evo 2 fitness glove is built for high impact training and weightlifting. You might want to leave these off for workouts that require a lot of hand finesse, but that doesn’t mean they don’t deserve a spot in your gear bag. Weightlifting can be strenuous not only on your wrists but also the skin of your hands, especially if you are working with a lot of weight. That’s why I would recommend a pair of gloves like the Evo 2’s. They have an integrated double wrist wrap for extra support during bench press, dead-lifts, and other high octane lifting. Besides the wrist wrap, the gel printing on the palm and fingers gives you excellent grip which makes the Evo 2 fitness glove one of the best gloves for Crossfit. The gel pad makes them especially useful as kettlebell gloves. These gloves are thick! – Best suited for specialty use like weightlifting or kettle bells. If you need the support of some good workout grips but hate the idea of cumbersome gloves or wrist straps, the minimalist design of the Bear Komplex 2 Grips might be exactly what you are looking for. Bear Komplex kept it simple when they designed these grips and that’s why I like them. First, the wrist strap has support under the buckle so the strap doesn’t dig in to your wrist. Attached to the strap is a genuine-leather, triple-stitched palm pad for callus free workouts. See? Simple. 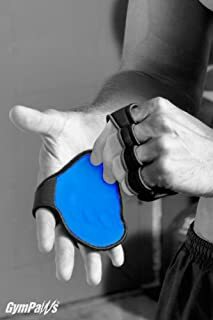 The palm pad itself has 2 and 3-hole finger options for hand comfort across different workouts, which in my opinion makes them one of the most versatile grips on the market. I hope you’ve seen so far that I prefer grips made of leather. They last longer and offer more protection than other materials. The Red Grilla Leather Palm Grips markets itself as the most comfortable grip because of their broken-in leather palm pad and snug but gentle neoprene straps that are also moisture resistant. Like the Bear Komplex grips, these grips are simple and effective. 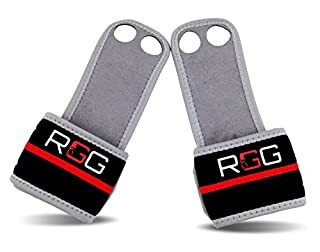 They offer only the 2-hole finger option, but that is enough to make these grips useful in a wide range of exercises from gymnastics to weight kettle bells. As you might have noticed, gloves and grips are often designed with a certain exercise group in mind. However, there are great general purpose gloves available. The Forever glove by StrongerRx is a great glove if you are looking for long-lasting protection and enhanced grip during your WODs. For functional fitness, these gloves are designed to be ultra-lightweight. The manufacturer even boasts that you will forget you have gloves on. 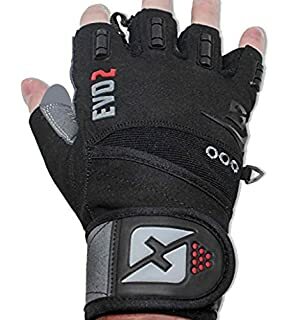 I don’t know about that but I do know that the ergonomic design and silicone grips make the Forever glove one of the best Crossfit rope climbing gloves. The Forever glove also has flexible, ventilated palms to reduce hand sweat and as an added bonus, they are touch screen compatible so you don’t have to take them on and off to change to your favorite workout playlist. These gloves are not as durable as others on the market – Their lightweight design makes them prone to longevity issues. However, StrongerRx has a Forever gloves program that will literally replace your gloves for a lifetime! These grips by GymPaws are a little different than the previous grips on our list in that they don’t have wrist straps. They simply have four finger holes that keep a subtle leather pad secure to your palm. The “less is more” design of GymPaws’ grips is for people who may prefer to not wear gloves at all but find themselves in need of just a little extra grip. This makes them great Crossfit gloves for pull ups because it provides grip where it is needed but no bulky material to get in the way of your feel. As you can see, purchasing gear for Crossfit, whether it’s gloves or even Crossfit shorts, can be a daunting task because of the variety of options. Hopefully I’ve been able to help you see that each person has different glove needs and that you should only purchase gloves that you know will compliment how you work out. Remember to think about where you need grip and support the most and choosing your pair of Crossfit gloves should be natural and easy!